An unprecedented use of water during this North Texas drought has one of the area's largest water providers moving to ask its 1.6 million users to conserve more. At its Sept. 22nd meeting, the North Texas Municipal Water District will ask its board of directors to implement Stage 3 water restrictions. Deputy Director Mike Rickman said conserving more water to stretch supplies is becoming critical without significant rain. "We'll be taking an action item to our board to go into Stage 3 effective November first of this year," he said. Drawing Water From Lake Texoma? The North Texas Municipal Water District is asking the Army Corps of Engineers for a season pass to draw water from Lake Texoma from December to March. Stage 3 would mean that outdoor watering would be allowed only once per week. 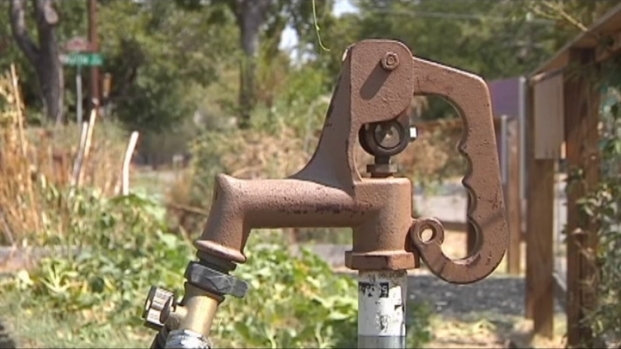 It is not the only extreme measure the NTMWD is looking at to help meet water demands. Lake Texoma represents more than a quarter of the NTMWD's water supply, but the district hasn't pumped a drop from Texoma since July 2009. Texoma has a major infestation of zebra mussels, and any water drawn from it and pumped elsewhere could contaminate the Trinity River Basin and all water sources in North Texas, costing tens of millions of dollars to fix. 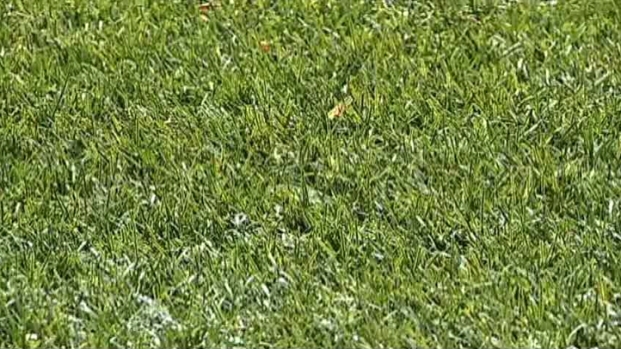 Artificial turf lawns don't need fertilizer or water, and a growing number of North Texans are installing them. NTMWD is asking the U.S. Army Corps of Engineers to pump water seasonally from Texoma between December and March, when water temperatures are lower than 54 degrees and the larvae from the zebra mussels are not spawning. 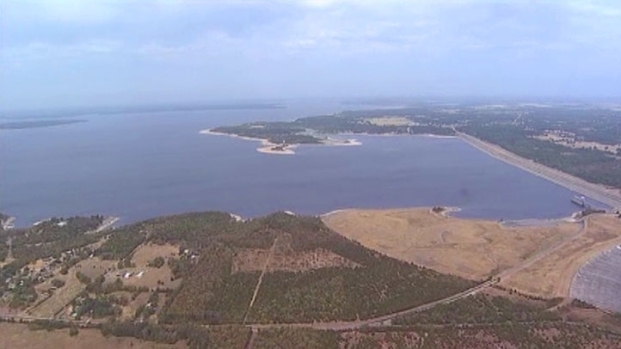 The Army Corps of Engineers has not yet decided if it will allow Lake Texoma back online as a water supply for the NTMWD. In the meantime, the little rain the region has seen has done nothing to address the drought. Rickman said North Texas would need a storm the likes of a "tropical depression" to saturate the area with rain and raise lake levels. Short of that, weather predictions of patterns through next year all point towards more drought, he said. Lake levels in Tarrant County are dropping quickly, forcing Fort Worth to start water restrictions for the first time.